So, it’s happening. 3 days ago (i.e. 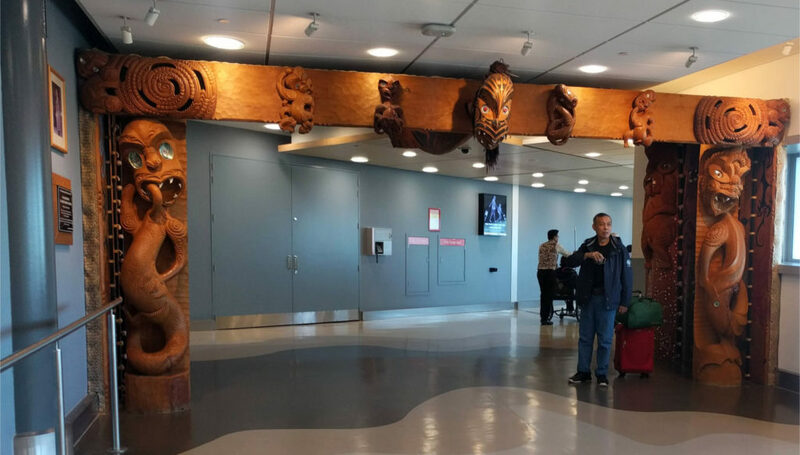 8 January 2019) I landed on New Zealand, where I plan to stay the whole next year. How was the trip? What planes I boarded, what airports I visited, and what happened during the trip? You’ll find the answers in this article. I was quite afraid of missing the flight, so I got to the airport quite early. However, no traffic jams or natural disasters occurred, so I had a plenty of time to wander around the departure terminal. At the check-in I realized that the flight goes actually to Shanghai, but it stops in Xi’an for 3 hours to refuel. During this technical stop, the passengers are supposed to leave the plane, do some administration at the terminal and return back on board. 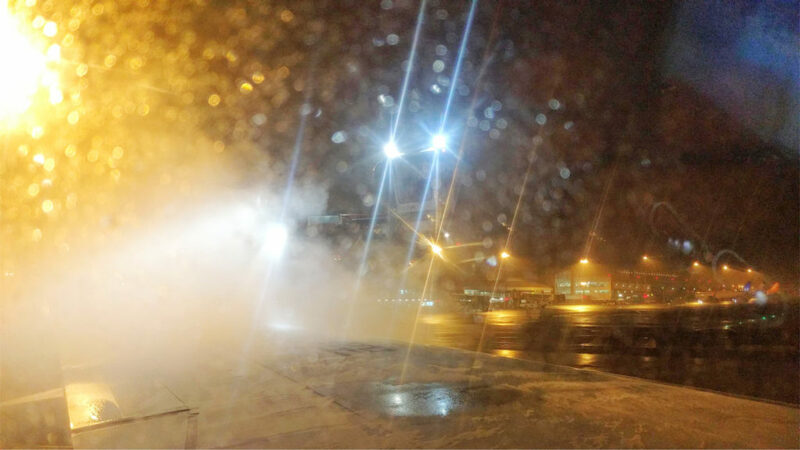 However, this was not my case – I had to board a different plane in Xi’an. This meant that the lady at the counter couldn’t send my luggage directly to Auckland, but I needed to check-it-in again in Xi’an. Nevermind, nothing I can’t handle. Another hour of waiting, flawless security check, another waiting, boarding on Airbus A330, safety instruction, takeoff? Well, not quite. The plane started heading to the runway, but it stopped after a few minutes. Houston, we have a problem! Our wings are frosty! After a few minutes, the de-frosting vehicle has arrived and started pouring the anti-freeze on the wings. It didn’t last even 10 minutes and we were back on route. Here I would like to mention the airlines I chose for the trip: China Eastern. They were the cheapest. 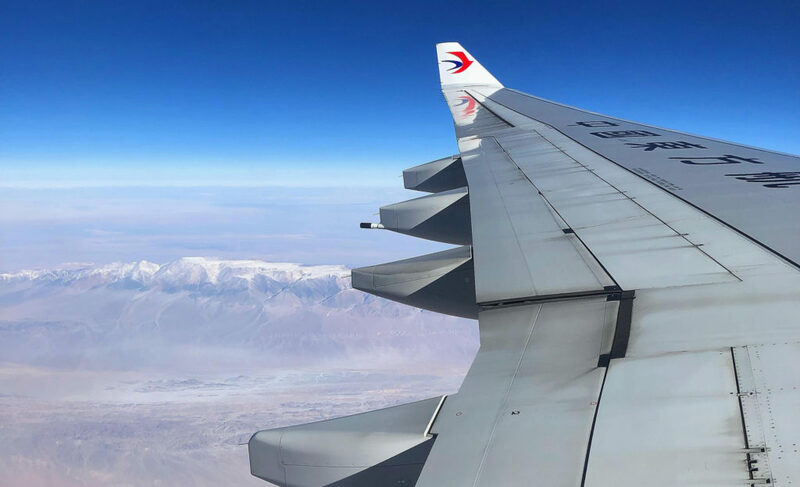 I saw hundreds of scary reviews on the internet, saying that China Eastern are a shady company, blah, blah. So I was a bit worried before the flight. 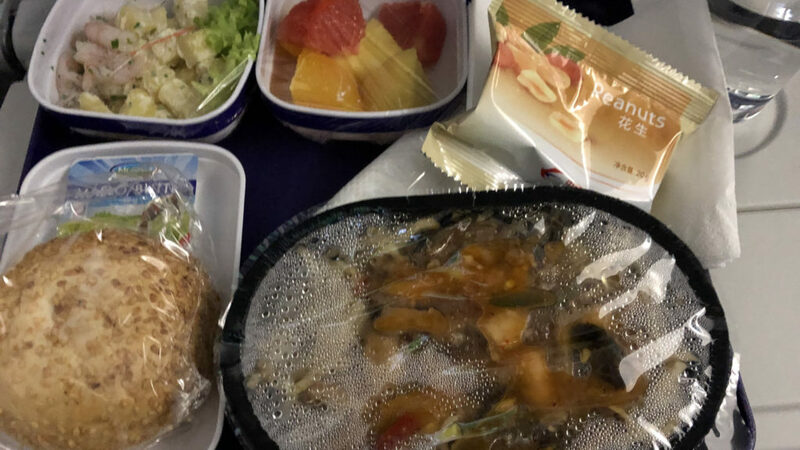 But there was nothing to worry about – all the flights were nearly flawless: I got from the point A to point B, the food was actually quite tasty, the plane was clean, the service was nice and we even landed a few minutes early. After an hour into the flight, the dinner was being served. We could choose between the Chinese noodles and Rice with chicken. I chose the noodles. After the dinner, I had to do something with the 7 remaining hours. Although I was quite tired, I couldn’t fall asleep. I planned to shorten my personal “to-watch” movie queue, however, the headphone output was not working correctly. So I killed the time by playing some games at the airplane infotainment screen (mainly Solitaire) and by walking around the plane. After a few hours, the sunrise came, and we were flying above Mongolia. And because I was sitting at the window and the sky was clear, there was at least something to look at. I could see the Gobi desert and the Gobi-Altai mountains with one of the highest peaks of Mongolia, Ikh Bogd (3957 meters high). And then we got the breakfast – I chose the chicken with rice this time – and soon after, we landed in China. After landing, I had to go through an immigration process. My fingerprints were scanned, I was photographed and I had to fill the immigration form, where I put “transit” as the reason why I’m entering the country. Then I went to baggage claim and managed to find my baggage there. Phew. Let’s go to the departure hall! I had a pack of medical syringes with me for the entire trip. I’ve been worried that it would cause me some trouble at the security checks. In the end, nobody cared about the syringes. But powerbank? Oh boy, what an evil thing. I’ve been thoroughly examined, sniffed by a dog, my bag went through X-Ray at least 5 times. I also felt like an idiot, because I couldn’t understand a word – they didn’t speak English. But eventually they let me go. So, better put the powerbank to a separate container next time. I wanted to browse the internet while waiting for the gate to open; however, it didn’t work (except Baidu). Fortunately, the wait was short and after a while I was on board of Airbus A321. The flight was also short – not even 2 hours – so we went up, ate the dinner (noodles again) and went down again, but this time in Shanghai. The Shanghai airport was much bigger, nicer and better equipped than the Xi’an one. There were taps with free drinking water on each corner, as well as phone chargers. Because my luggage was already checked-in, I went straight to the security check. However, I had to go through the emmigration office first, where I named a reason why I’m leaving China. This time I put the powerbank to a separate box, so the security check was smooth. I was really tired and I already wanted to be in Auckland. There were a lot of like-minded travellers in the departure hall, so I could kill a bit of time by talking to them. And in another hour, I’ve been sitting on board of Boeing 777. I am telling you: if I ever get the opportunity to sit next to the emergency exit, I’m taking it straight away. I had literally 2 meters of free space in front of me, so I could stretch my legs and get comfortable. The flight was really long – 11 hours. After the dinner (did I mention I had noodles?) the lights went off. The crew maybe thought that everyone will sleep, so they didn’t give us any water. I was really thirsty, so I went to the kitchen and took the water by myself. They were giving me weird looks, but they let me do it. Then I tried to sleep, but I couldn’t, so I tried to kill time by playing more Solitaire and watching Ukulele 101 tutorial on Skillshare (I don’t plan buying and learning ukulele, by the way). I don’t know how, but eventually we were in the middle of a flight, then in three quarters, and then we got breakfast. It was excellent this time – we’ve got an eggs with bacon and sausage, as well as croissants with jam and yoghurt. And then I filled in the immigration form and the eagle has landed. Incredible feeling. To be fair, even now, three days after landing, I can’t realize where I actually am. Is it because modern technology allows us to communicate with the other side of world without significant delay? Or because 99% of the things works here in the same way as it does in Europe? Or simply because I didn’t have time to realize it? And then I just submitted the immigration form, got a stamp in my passport, obtained my checked-in luggage (thank God, it arrived!) and headed straight to the dreaded biosecurity check. This process is specific for New Zealand, because they’re doing their best to protect nature and also agriculture. So here powerbank does not matter, but an apple or honey is a problem – what if it contained some bee disease? Such could severely damage the ecosystem. So the officer asked me, if I really don’t carry any food, wood, animal products and such, and checked if my boots are clean. I spent good 2 hours cleaning them up, so they looked like new. So I had no trouble passing this check. And that’s it. I’m here in New Zealand! I’m heading to the Info kiosk, buying the bus to the city center ($19), and after about 30 minutes by bus and another 20 minutes by foot I arrive to the Grafton Hostel, where I’m going to spend the next five days (well, I am actually already leaving tomorrow). And that’s it for now. If you read it all, I thank you, I admire you and I love you. 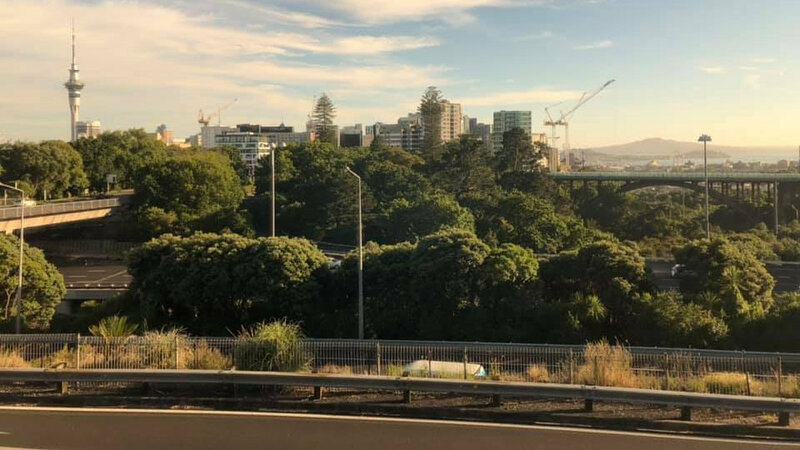 Next week I’m going to write another story, probably about my stay in Auckland.